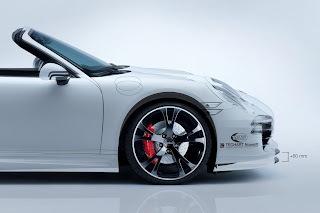 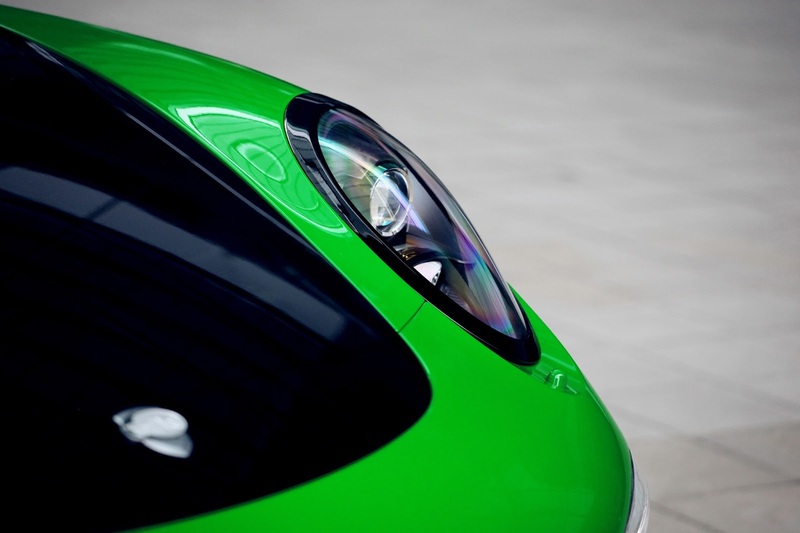 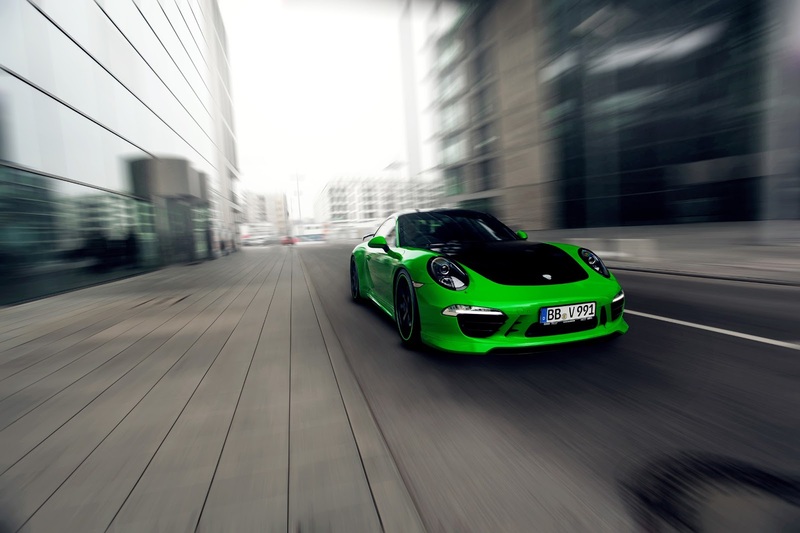 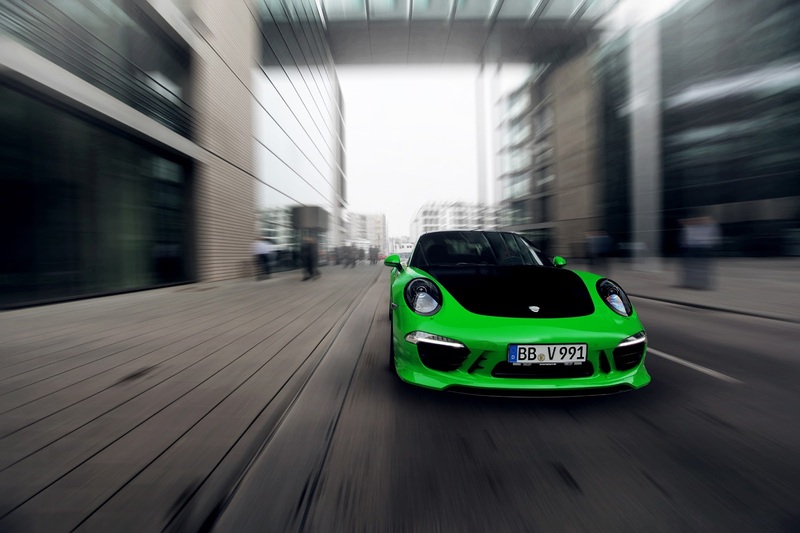 TechArt will present at the Geneva Motor Show a processing based on the Porsche 911 991 Carrera 4S. 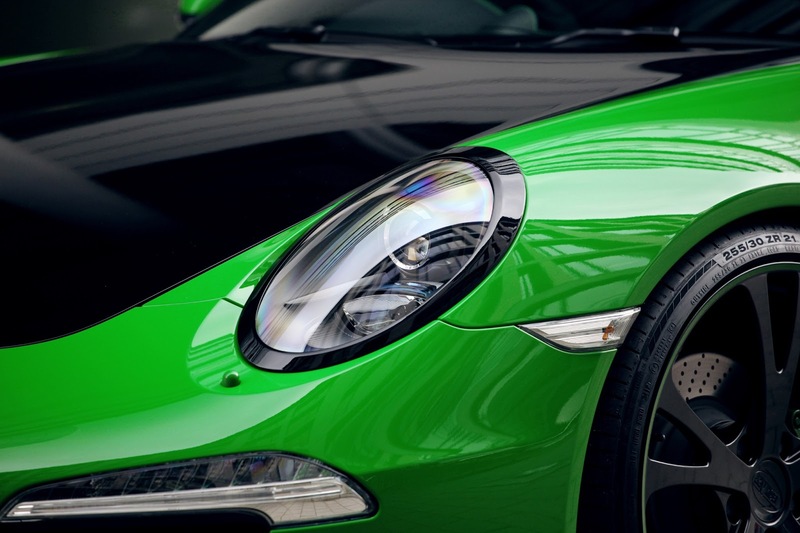 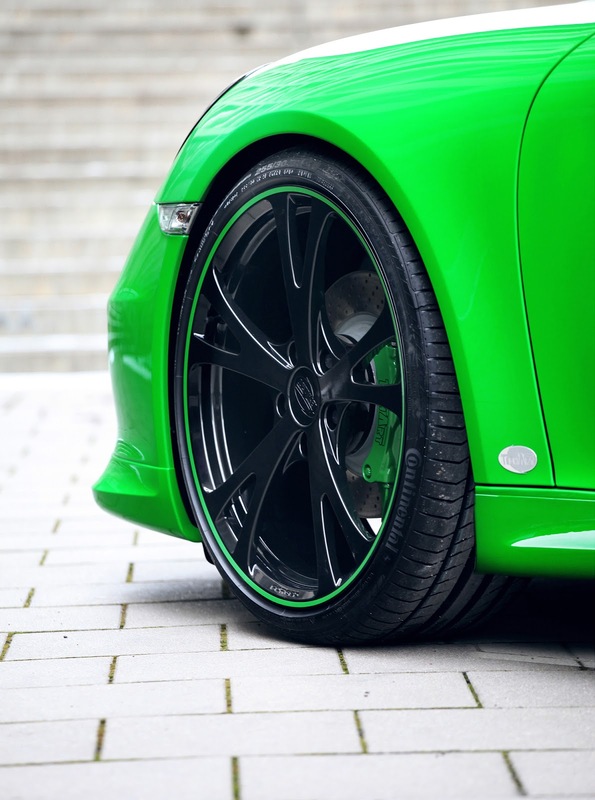 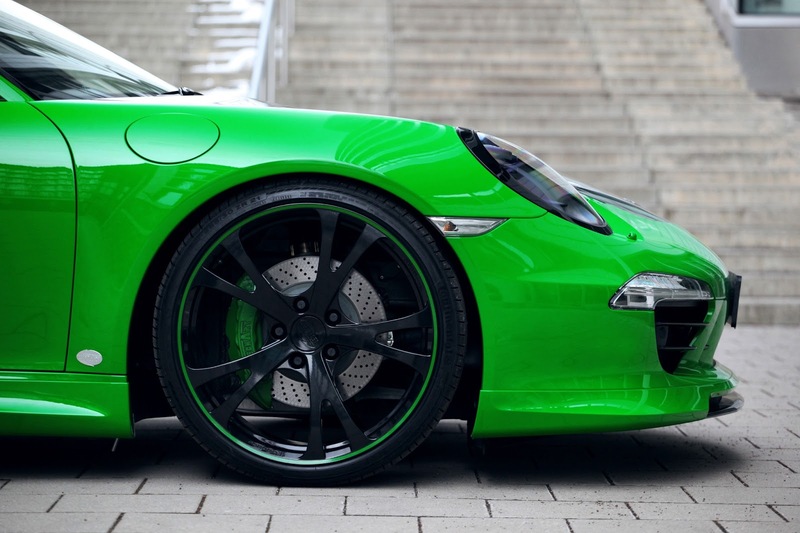 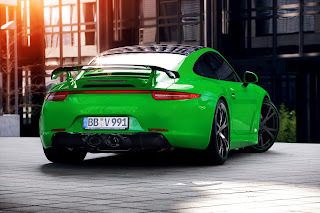 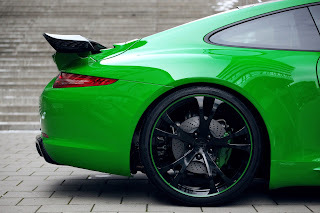 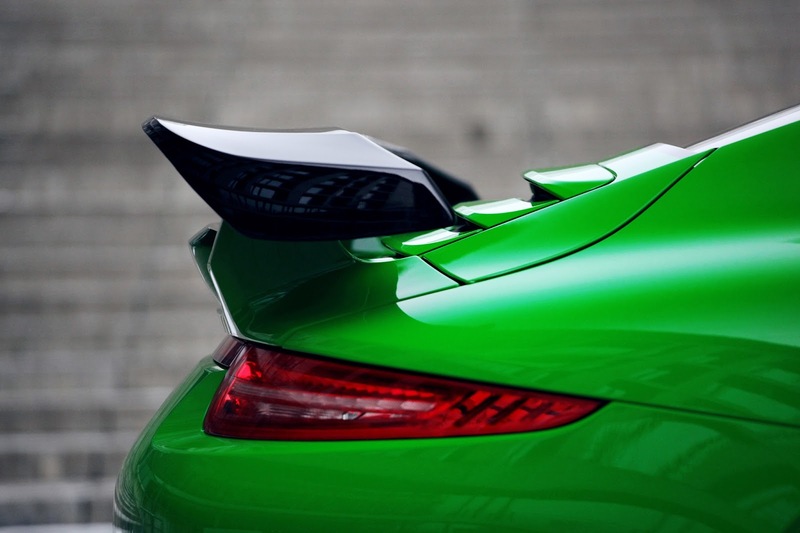 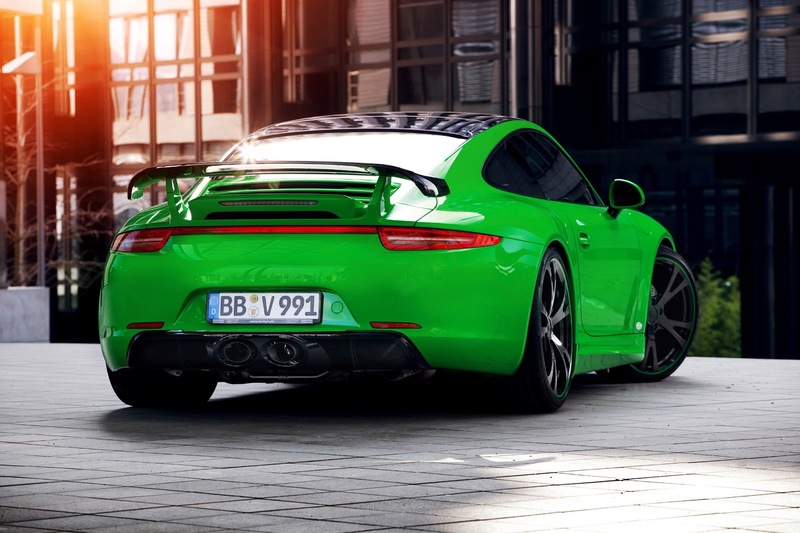 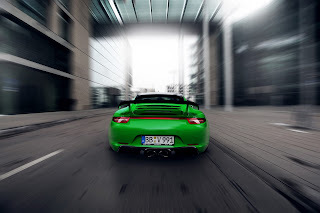 The Carrera 4S comes with an emerald green body and a body kit that includes front bumper with air intakes and front splitter, side skirts, diffuser and rear spoiler TechArt Rear Spoiler II. 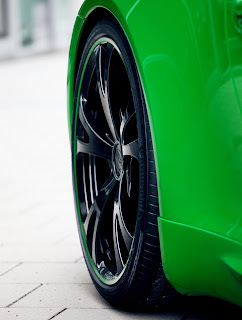 The kit is completed by TechArt Formula alloy wheels with 5 spokes in sizes from 20 to 21 inches. 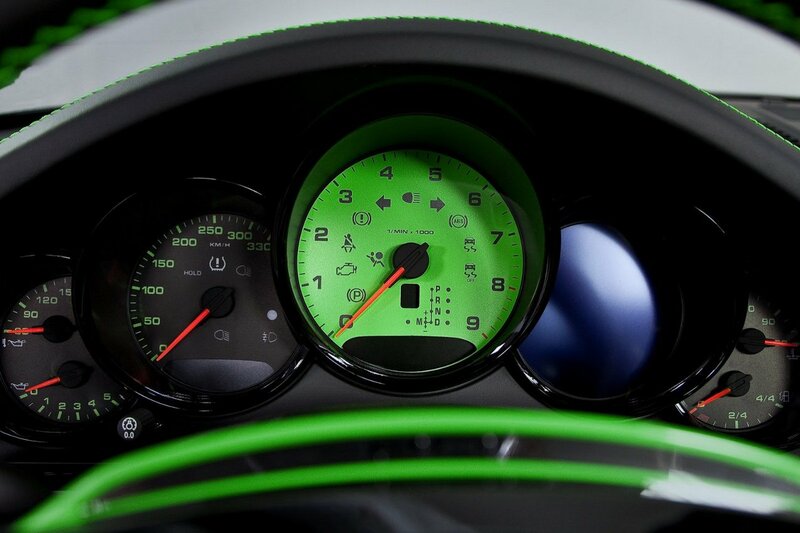 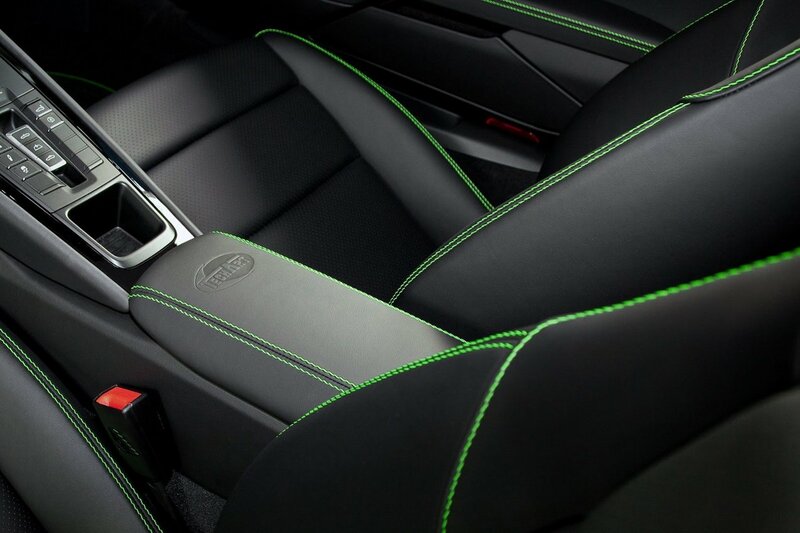 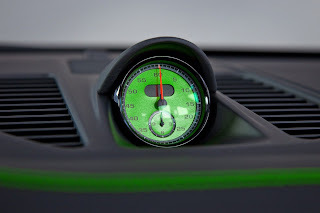 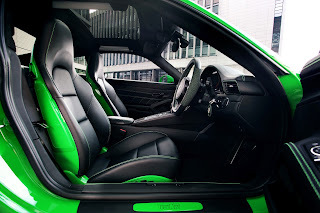 The interior features front seats in black leather with stitching and shell in emerald green color, we find the same colors on the door panels, on the 3-spoke TechArt steering wheel, on the dashboard, on the center console and Sport Chrono instrumentation. Under the hood the 3.8-liter six-cylinder boxer engine with 400 hp of the Carrera 4S remains unchanged. 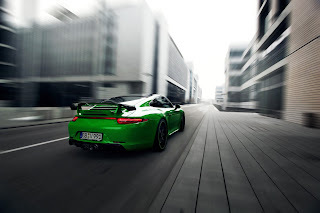 The engine is mated to the all-wheel drive and PDK dual-clutch seven-speed gearbox. 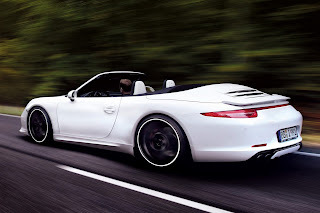 This allows the standard 911 Carrera 4S to accelerate from 0 to 100 km/h in 4.1 seconds and to reach a top speed of 300 km/h. 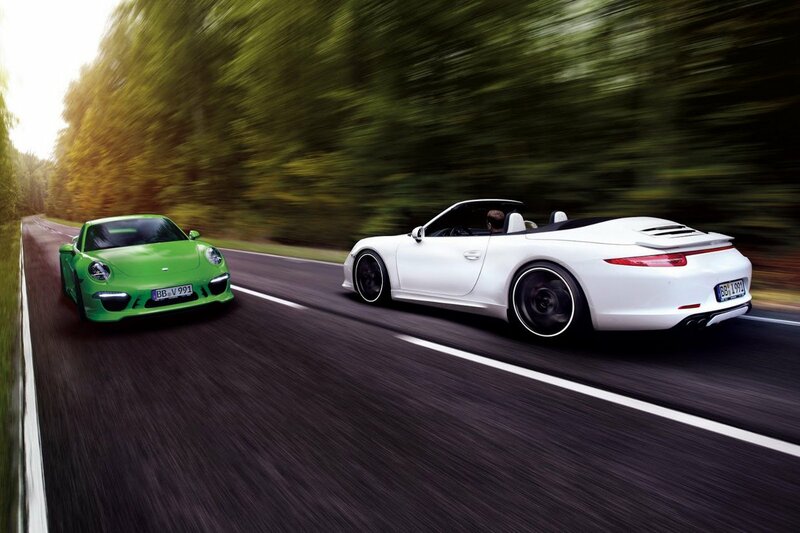 The performance of the 911 4S by TechArt will certainly improve thanks to the TechArt Racing Exhaust System. 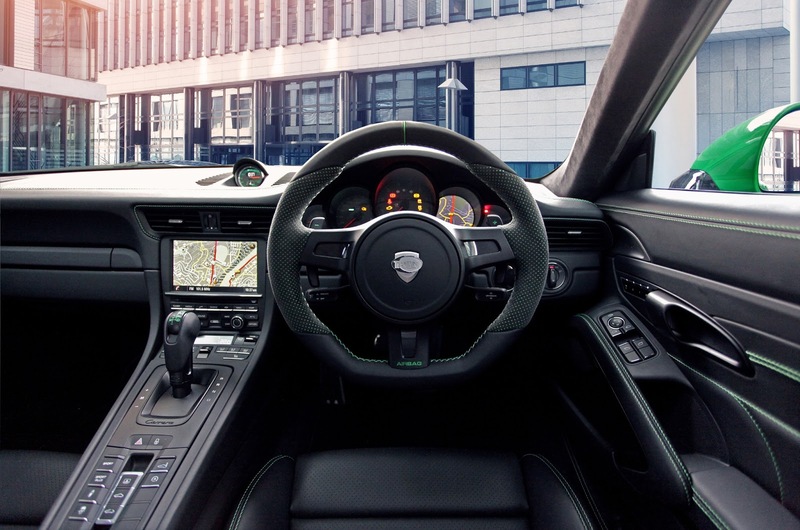 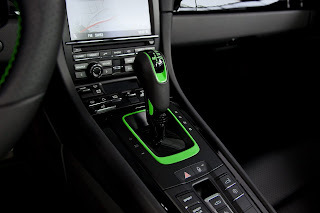 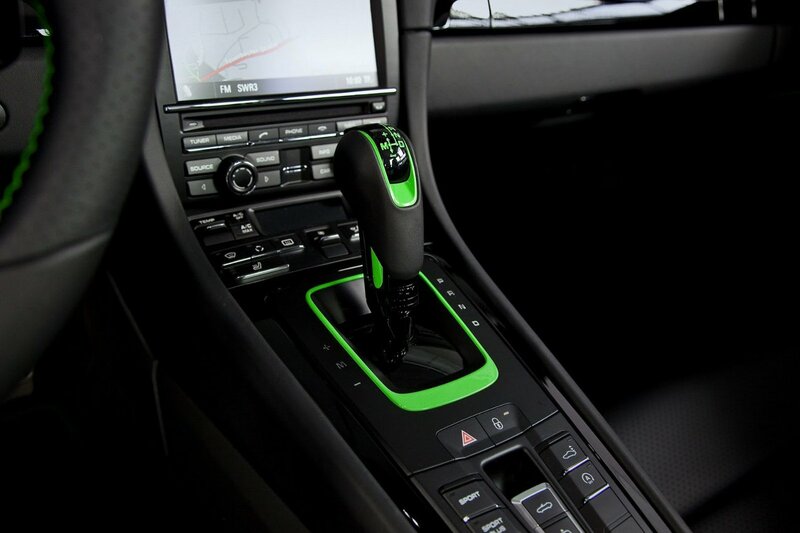 Finally, TechArt has equipped the trim of the Carrera with the Noselift system, which permits to lift by 60 mm the car body through a button, at speeds less than 60 km/h. 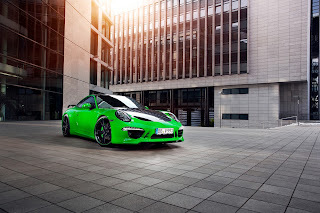 TechArt presenterà al Salone di Ginevra l'elaborazione basata sulla Porsche 911 991 Carrera 4S. 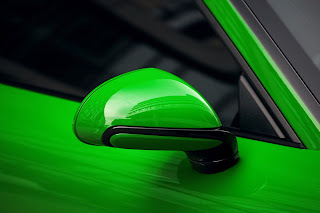 La Carrera 4S si presenta con una carrozzeria di colore verde e un kit estetico che comprende paraurti anteriore con inedite prese d'aria e splitter, minigonne laterali, diffusore e spoiler posteriore TechArt Rear Spoiler II. Completano il kit i nuovi cerchi in lega TechArt Formula a 5 razze da 20 o 21 pollici. 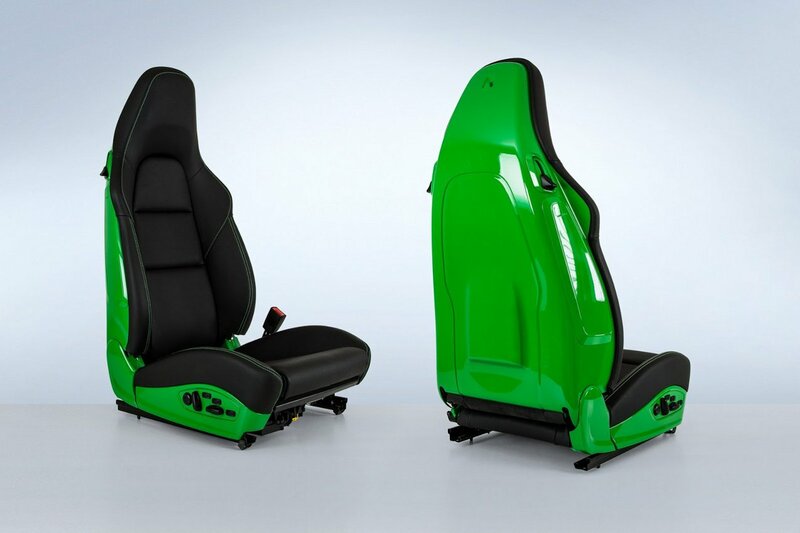 L'abitacolo presenta sedili anteriori in pelle nera con cuciture e guscio in tinta verde smeraldo, gli stessi colori li troviamo sui pannelli porta, sul volante TechArt a 3 razze, sulla plancia, sulla consolle e per la strumentazione Sport Chrono. Sotto il cofano il 6 cilindri boxer da 3,8 litri e 400 cv della Carrera 4S rimane inalterato. 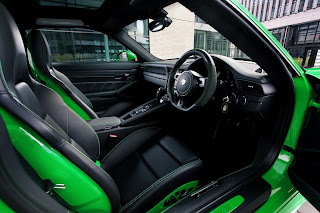 Il motore è abbinato alla trazione integrale e al cambio doppia frizione PDK a sette rapporti. 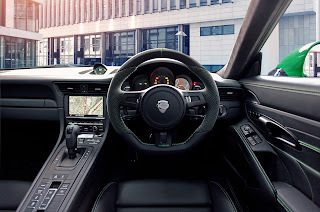 Questo consente alla 911 Carrera 4S standard di accelerare da 0 a 100 km/h in 4,1 secondi e di raggiungere una velocità massima di 300 km/h. 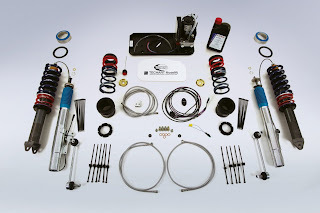 Le prestazioni della 911 4S by TechArt sicuramente miglioreranno grazie all'impianto di scarico TechArt Racing Exhaust System. Infine, TechArt ha dotato l'assetto della Carrera del sistema Noselift, che consente di alzare di 60 mm il corpo vettura attraverso un tasto, a velocità inferiori di 60 km/h.